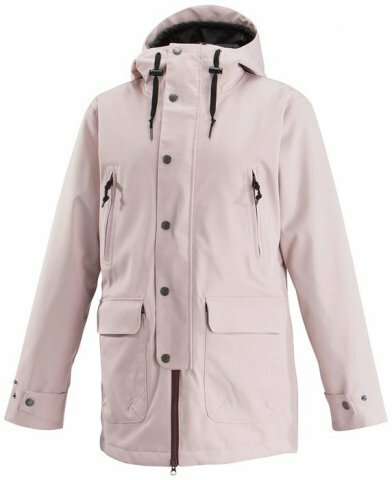 Airblaster Nicolette Jacket is fully insulated with fully taped seams, 15k waterproof rating, and a longer tailored fit. This would be a good choice for someone who sees colder temps and dryer storms. The Nicolette jacket has some fun pockets, a powder skirt, and a waist drawstring if you want a more fitted look. We try to get as many images of the Airblaster Nicolette Jacket, but forgive us if they're not all there.